I promise to ask this with humility and respect if you promise to answer without blithering. 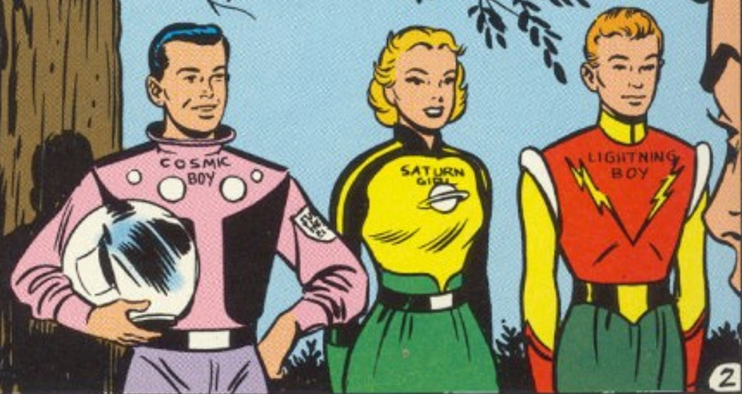 Blithering about the Legion of Superheroes seems to be almost a whole subset of comics fandom, comparable perhaps to Glorantha moonbats such as myself in the role-playing hobby. Jacobs & Jones’ The Comic Book Heroes, not otherwise sentimental, breaks down into slobbers about it for a whole chapter. I am sure someone out there can manage better.